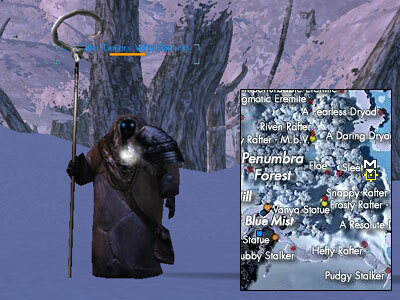 Like quests in other zones, you will stumble on the first NPC for this quest right as you come through the Portal into Penumbra from Adonis. He has has a mission for you! 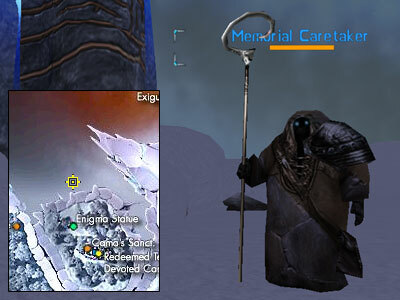 You will be sent out to kill 5 Tundra leets and to return to him with a Bundle Of Leet Tails, which will spawn in your inventory. 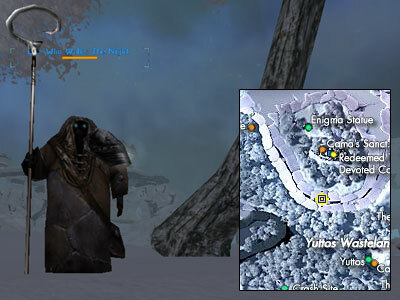 Tundra leets spawn a bit north of the portal, but you need to use search option (with a high Perception skill) in order for them to appear. If you do not have high perception, you can also use Mongo or AoE nukes. 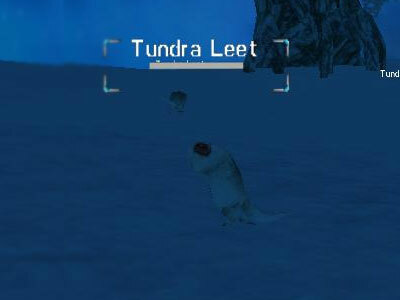 If you have a pet, you can use /pet hunt to discover the Tundra Leets. If you cannot use any of those options, when all else fails, you can buy a Service Tower from the tower shop, set it up in the area, and command it to /tower hunt. You need to be careful which leets you kill, since Arctic Leets needed for Penumbra protective glasses spawn around same location. When you return to Founding Glacier Five, he'll reward you with Yuttos Filter (needed for Frozen Yutto Remedy), as well as give you your new mission. Your next task sends you out to measure the thickness of ice. 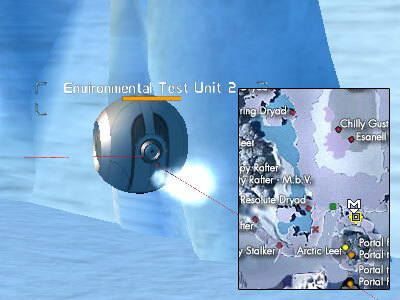 You'll need to "chat" with 4 Environmental Test Units, gather info for today and then return to the Yutto. Pay attention to the numbers! The values randomly change, and so the final answer is different for everyone. 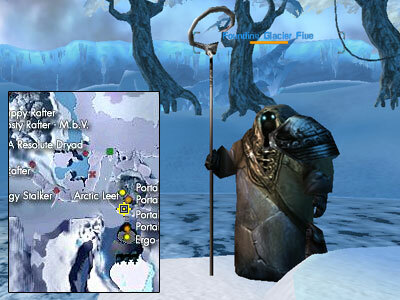 For this answer, Founding Glacier Five will reward you with Incomplete Permafrost Melting Tool. This is part of another tradeskill tool for items gathered in Alappaa, but more of this later. Yutto now has another mission for you. You need to deliver Yutto Field Glasses to One Who Lights The Way, but since they are broken, you need to visit One Who Tinkers With Gadgets first. This Yutto lives for technology, but without parts, even he's unable to fix glasses. So he sends you on a hunt for Primary Infrared Filter and Secondary Infrared Filter. 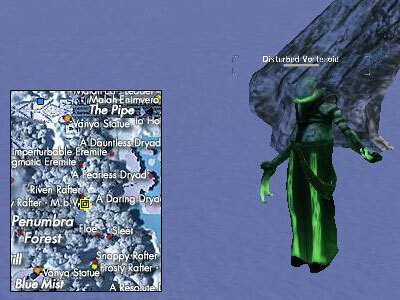 Those drop from Disturbed Vortexiods a bit NW from his location. When you return with the filters to Yutto, he'll repair the glasses, reward you with Permafrost Battery and send you to One Who Lights the Way. One Who Lights the Way will notice you did some fixes to the glasses right away and out of gratitude reward you with Permafrost Powered Tubes. 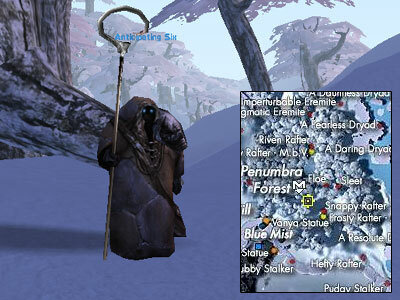 With that, you have all parts needed to complete the new tool used for certain drops in Alappaa. Requires 1250 in Computer Literacy skill. You can check what can be done with it here and here. Yutto also gives you a new mission which will show a "counter" (1/6). He wants you to patrol the forest for him. Basically that means running on a path and killing or calming Frost Demons on the path in a northern direction if they attack you. 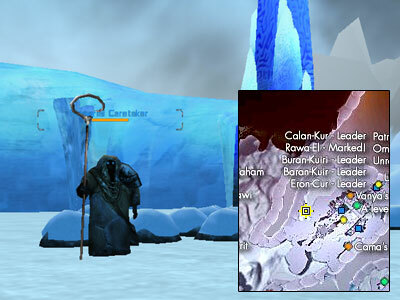 There are six (invisible) checkpoints on the path, located around said Demons. The checkpoints have to be visited in order. However, as the checkpoints are literally found as you head in a northern direction on the "dirty-snow" path - you only have to pay attention to the first checkpoint, which is under the "bridge" of Pipe and feels like you bang your head into it (it's a bit low). Note: after you reach an invisible checkpoint, the mission updates, so you'll know you can head to the next one. 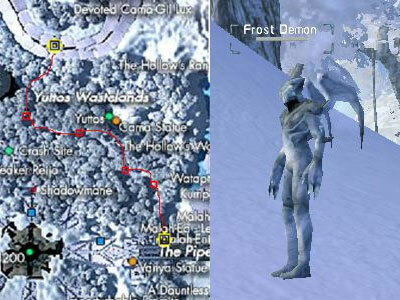 After the first checkpoint, others are located near Frost Demons. If you are high level the demons are not going to agro you so you can just run on the road and check for updates near the Demons. 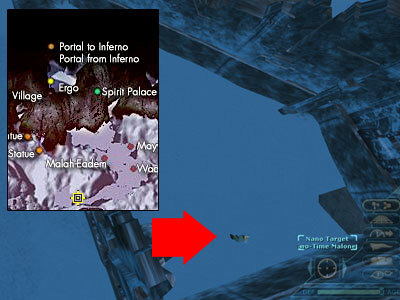 After the 6th checkpoint, the mission changes. Once completed, you should report to One Who Walks the Night. If you miss some checkpoints, this Yutto won't speak to you. But once he's willing to speak, he'll send you to Ruminating Strife. This is one troubled Yutto. And all his troubles have same origin - Hiisi. Apparently there's another war raging in the Shadowlands besides the Redeemed vs the Unredeemed, and it's Yuttos that bear the casualties. So after arming you with Chemical Data Parser, Ruminating Strife sends you to tag Hiisi Medicine Man, Charmer and Runner (just pick up tool and r-click on Hiisi in question). 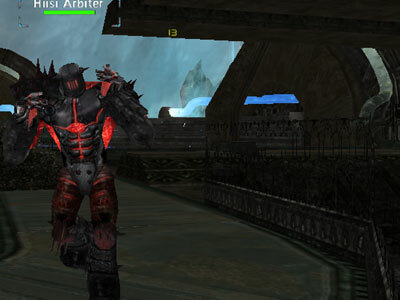 Once completed, he'll reward you with Afirce's World Catalogue of Books - Volume One. Unfortunately, his problems don't end here. He tells you about a special Hiisi that comes forward at certain times and since he suspects it's now one of those special times, he sends you out to find him. 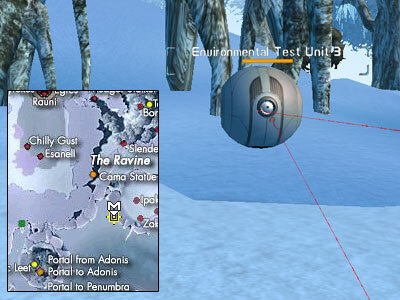 Like the rest of Hiisi, you'll find it inside the Pipe complex, a bit north from the center. A bit of caution is advised, since this one aggros on sight (but you don't have to kill him in order to complete mission). This time Ruminating Strife will reward you with Afirce's World Catalogue of Books - Volume Two. But we all know it doesn't end here, given the fact that you didn't get a chance to kill anything yet!! 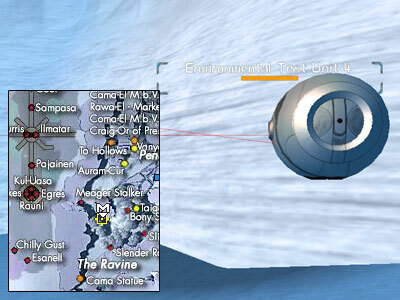 So the Yutto asks you to "convince" Tapiolainer not to attack them. Mob in question is NE from center, down the ramp. 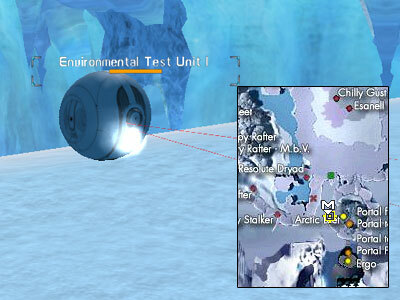 Should you attempt this mission at lower levels, a team is advised. Upon successful kill, Strife will reward you with Afirce's World Catalogue of Books - Volume Three and send you to One Whose Mind is Riddled. 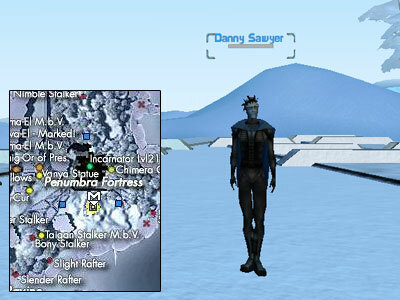 Boys and girls, you better put on your running shoes, this NPC will send you all across Penumbra. He'll give you the approximate location of the first Memorial with instructions to check on all 5 of them. Fortunately at each Statue there's another Yutto Caretaker, who will direct you further. 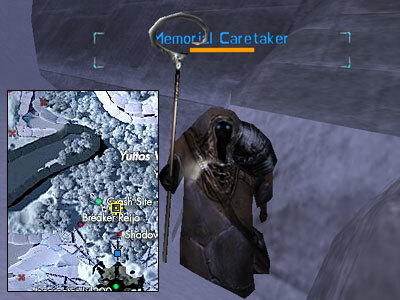 In itself this task shouldn't be too problematic , however some of the Memorials are located in places where someone unfamiliar with Penumbra could easily pull aggro from local wildlife. So be prepared to bump in uninvited guests. Pos: 2926.0, 2028.2, 58.9, Area: White Citadel. Pos: 2568.7, 466.0, 78.9, Area: Frozen Plateau. Pos: 813.0, 1393.5, 38.9, Area: Penumbra Forest. Pos: 828.4, 2245.4, 66.6, Area: Purity. When you have managed to visit all the locations, return to Yutto with report. He will give you Afirce's World Catalogue of Books - Volume Four (last of specialization 4, you don't need volume 5) and direct you Shivering Pete. Pete is a tomb raider with bad luck. Not only did his partner rob and hurt him, he also stole half of a treasure map. 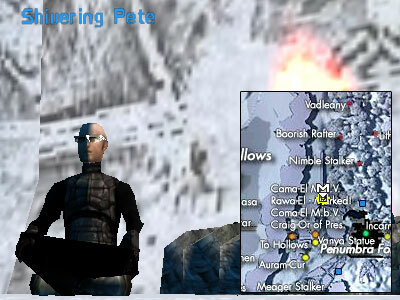 So Pete is after revenge (and the other half of his map). His weapon of choice is going to be you. 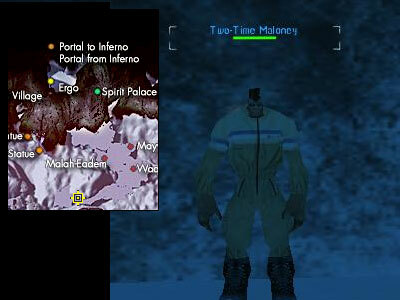 Your task is to go and kill Two-Time Maloney. At this point you'll probably need a team. Not only does Maloney carry quite a punch, he's not kitable and warps to himself. Unfortunately you first need to talk to him to be even able to attack him and upon his death a self destructing turret with a small AoE nuke. When you kill him, Ripped Note will spawn in your inventory. When you return to Pete, he'll give you the other half of Ripped Note and Shovel X-6000 to go dig out the treasure. For those that can't read the smeared out coordinates, travel to 2446 x 1609. When at the location, simply r-click on Shovel and Tube Container will spawn in your inventory. Returning this item to Pete will be rewarded with a Finely Refined Notum and a Codex Divello. Pete will then send you to Danny Sawyer. He's a bit of an untrustworthy fellow. He'll ease up a bit after you tell him Pete sent you, but before gaining his complete trust, he'll test you with a simple kill mission. 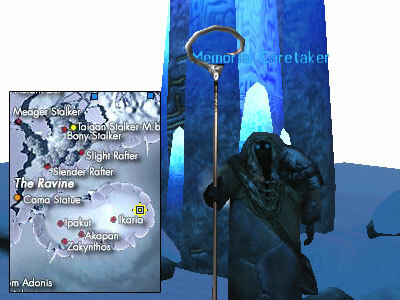 He wants you to kill 5x White Dryads, 4x Demons of Water and 3 x Frost Demons. 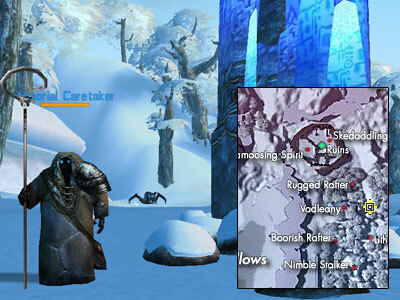 You'll be able to find all those mobs a bit south of One Whose Mind is Riddled. After that he'll send you to retrieve a book for him. 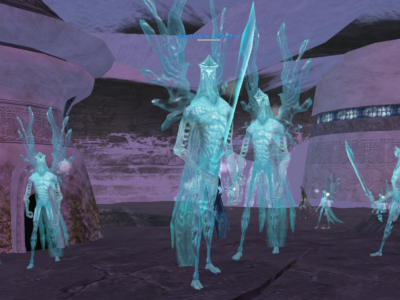 This is the only part of the quest line that's sided, depending on your faction. But while NPCs you should talk with are different. For Clan sided quest it is Cama Zean Mara who is located in the far north west side of Penumbra, you'll need to go into a cave (entrance located at 1395 x 2436). Watch out for mobs inside. 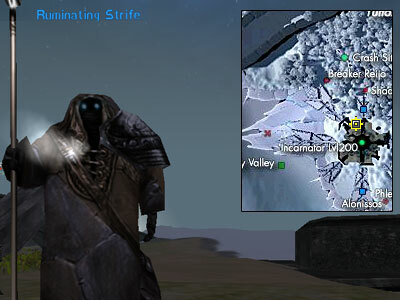 For Omni sided quest Follower-Wox-Yutt Van) they both have the same mission for you before they hand you Tattered Book: 1001 Survival Tips...And More!. They send you to dungeon, where you need to locate A Fine Quality Jar and bring it to them. 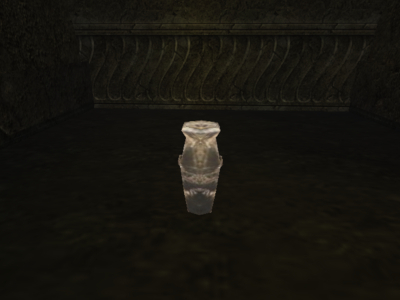 Once you give the jar to the NPC, you'll receive a book to return to Danny. He will send you to Anticipating Six. This Yutto stands next to entrance to Alappaa. While he'll talk to you, he won't give you next mission unless you're teamed. 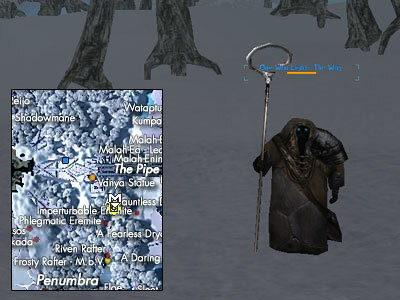 he wants you to make sure if the Old Man, who entered Alappaa a while ago, is safe. You can read on how to do that here. Once you complete this mission, just return to Anticipating Six for your final reward, a profession specific nano crystal. 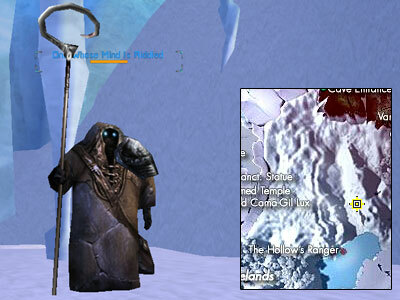 The previous Bureaucrat reward, Brain Freeze, is currently rollable and the new reward is a pet nano! Note: Blade of Khione can be futher upgraded using items that escaped prisoners drop. The exact process is explained here. Updated with feedback from Siaynoq, additional information provided by Windguaerd. Afreng got the telephone number (aka AOID) of Carlita!